The lesser bladderwort, is a small, perennial carnivorous plant that belongs to the genus Utricalaria. It is usually found affixed to the substrate but it can also survive suspended in a body of water. 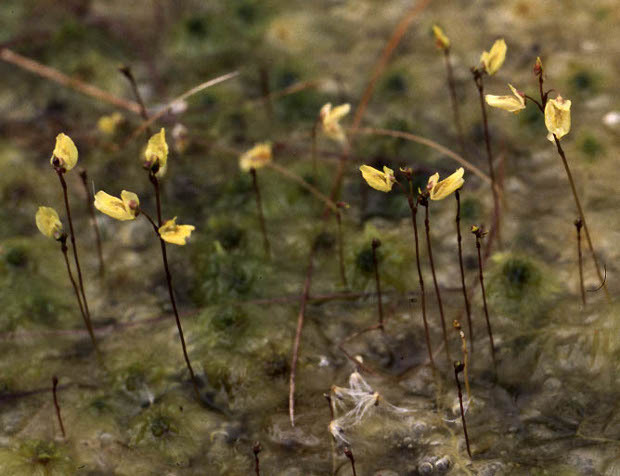 The lesser bladderwort is a circumboreal species and is found in North America, Asia and Europe. There are around 225 species in the genus Utricularia, belonging to the Bladderwort family. It is the largest genus of carnivorous plants and has a worldwide distribution, being absent only from Antarctica and the oceanic islands.